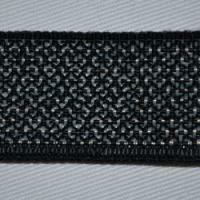 Whether you are an amateur dressmaker or a professional seamstress, one of the most important items in your sewing kit is Elastic. 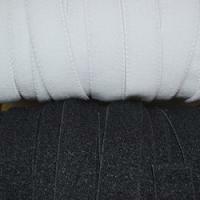 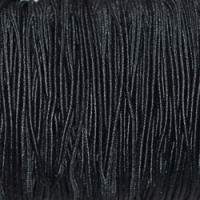 Elastic is a stretchable, flexible fabric made from rubber and wrapped in polyester, cotton or nylon. 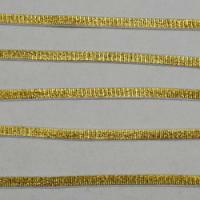 There are many kinds of Elastics available for specific tasks. 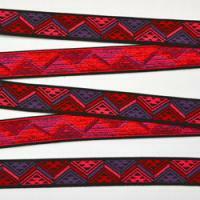 Flat Elastics are predominantly used in dressmaking for waistbands and cuffs on a variety of garments and can also be used to create structure in articles of clothing and to increase comfort levels of items such as skirts and trousers. 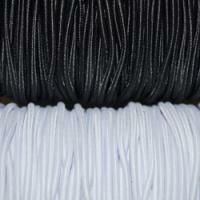 Our range of round Elastic is available in a variety of widths and is the ideal Elastic for stringing beads and can be used for creating a range of unique jewellery accessories such as necklaces, bracelets and for button hole loops. 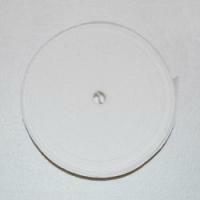 Round Elastic can also be used for dolls clothes and baby clothes. 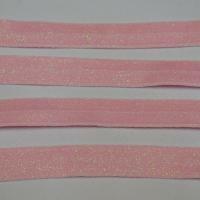 Our shirring Elastic is perfect for creating a decorative effect to your garments and for adding a little extra stretch and comfort to tops and dresses. 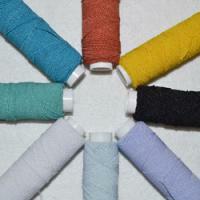 Our 0.5mm shirring Elastic is available in an assortment of colours. 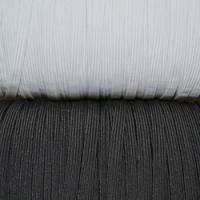 Our wide range of Elastics is available in a variety of widths and can be cut to measure or purchased by the roll from our Haberdashery section.